Originating as a string of demos she recorded straight to her iPad on tour, the songs poured out of Ashworth in stream-of-consciousness fashion, tracking the thrills, disappointments, and non-starters of a year spent newly single and on the road. In many ways, though, they were the culmination of decades of hard work. After a studying piano as a child, she picked up the French horn in middle school, and has been playing music pretty much every day sincefirst as a long-time conservatory kid with her sights on a career as a classical French horn player, and later as an elementary school music teacher, running around a classroom, making up songs and dances, and directing rag-tag orchestras full of glockenspiels and bongos. It didnt take long for Ashworth to start dipping her toe into pop music. A growing obsession with the noisy catharsis of post-punk and shoegaze and nights out with her brother Joo-Joo, a veteran of the Los Angeles indie rock scene who plays in the band Froth, led her to playing synth and guitar in the group Dirt Dress. In the past half-decade, shes worn basically every hat that a working musician can wear, scoring films and commercials, producing for and playing on other peoples albums, and doing string, horn, and vocal arrangements for artists like Curtis Harding, Wild Nothing, and Vagabon. At first, she viewed writing songs mostly as an opportunity to sharpen her guitar skills. Eventually, since she was on tour most of the time, she decided to forgo rent on an apartment and use the money to pay for studio time whenever she was back in Los Angeles, figuring that she might as well learn her way around an analog studio. 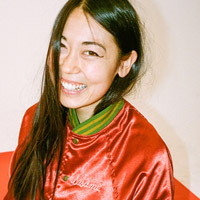 Though the material she was working on was deeply personal, the record that would emerge from those sessionsco-produced by Joo Joo and Studio 22s Thomas Dolas, who also engineered and mixed SASAMIis largely the sound of Ashworth having fun in the studio with her friends. Devendra Banhart and Beach Fossils Dustin Payseur make appearances as male back-up vocalists, and Joo Jooher professed guitar heroand Froth bandmate Cameron Allen fill in guitar and drums, respectively. Adult Contemporary, a spacey reverie reflecting the existential uncertainty of our current moment, features an all-star crew of badass Los Angeles women, including French singer-songwriter and actress Soko on vocals, Hand Habits Meg Duffy on guitar, Alvvays drummer Sheridan Riley on drums, and Anna Butters on electric and standup bass. SASAMI is the sound of Ashworth reveling in the warmth and magic of analog recording experimenting with different guitar tones and amplifier placements, embracing the imperfections that arise when you record on a 16-track and reconstruing them as strengths. Her years studying music theory and classical performance shine through in the tiny details that pepper SASAMI at every turnfrom the sly bending of a guitar note on opener I Was a Window, to the expressive pause before the instrumental breakdown on Pacify My Heart. Unlike your typical four-chord rock songs, her colorful arrangements draw from a classical technique called voice leading, where the different elements of a song (from voice, to keys, to bass) form distinct, interweaving melodic lines. Its inspiring to hear a woman who spent years playing other peoples music finally tell her own story. And its a feeling she says she wants to pay forward, just as her students and so many women in her lifelike recent tourmates Mitski, Snail Mail, and Japanese Breakfasthave empowered her. Which is another way of saying that even in its saddest moments, SASAMI will put a little bounce in your step. Extra points if you decide to put on a clown costume and dance around in the street, as Ashworth does is the video for "Not the Time." 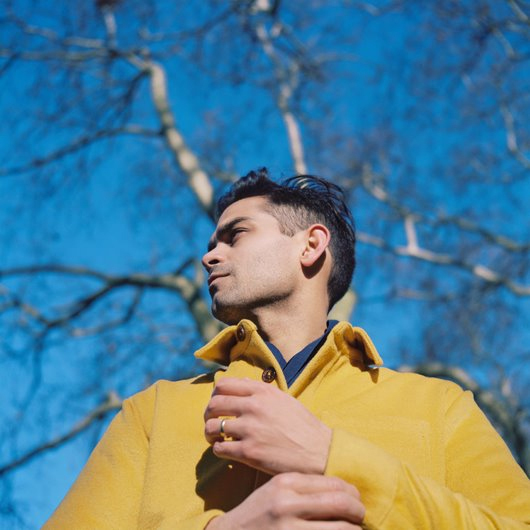 Allman Brown is a London-based singer-songwriter influenced by the likes of Bon Iver, James Vincent McMorrow, and Sufjan Stevens. Since announcing himself onto the scene in 2013 with the 'Sons And Daughters' EP (the lead track of which recently surpassed 3.5 million streams on Spotify), he has built a solid fanbase on both sides of the Atlantic through a number of his songs being featured on notable TV dramas in both the UK and US. His debut Album '1000 Years' is available now. The Felice Brothers album, Life in the Dark, out on Yep Roc, is classic American music. At once plainspoken and deeply literate, the bands latest features nine new songs that capture the hopes and fears, the yearning and resignation, of a rootless, restless nation at a time of change. Life in the Dark also coincides with The Felice Brothers 10th anniversary as a band. Hailed by the AV Club for a sound at once timeless, yet tossed-off, theyve released plenty of music over the past decade, often on their own without a record label, but the new album is the fullest realization yet of the bands DIY tendencies. 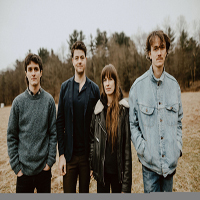 Self-produced by the musicians and engineered by James Felice (who also contributed accordion, keyboards and vocals), the Felice Brothers made Life in the Dark themselves in a garage on a farm in upstate New York, observed only by audience of poultry. Still, there are hints of seasoning: among the folk and blues touchstones, the band took a certain inspiration from Neil Young and the Meat Puppets, too. Ian Felice says he was trying to channel the spirit of Meat Puppets II on opener Aerosol Ball  They played kind of weird, freaky folk music, so theres a connection there, he says  while James Felice says listening to Neil Youngs Tonights the Night was like getting permission to make Life in the Dark. Hes referring to the wild, whirling accordion and big, loose rhythm on Aerosol Ball, mournful glimmers of electric guitar and fiddle on Triumph 73 and the ramshackle, blues-rock feel of Plunder, full of grainy lead guitars, blasts of organ and a shout-along chorus inspired by the rhythm of Shakespeares Double, double toil and trouble incantation in Macbeth. Though The Felice Brothers often share songwriting duties, the band gravitated toward Ian Felices songs for Life in the Dark. Along with Shakespeare and the Meat Puppets, Ian Felice absorbed the essence of writers from Anne Sexton to Anne Frank, Raymond Carver to Dr. Seuss, on tunes with clear, if unintentional, political undertones. Its just what was going on when I was writing the songs, Ian Felice says. Its a pretty politically charged climate right now. To say the least. The singers characters on Aerosol Ball exist in a dystopian culture bought, and ruled, by corporations; while Jack at the Asylum catalogs cultural ills including climate change, economic inequality and the numbing aspects of televised warfare, themes that recur again on Plunder. He wrote the title track after re-reading The Diary of a Young Girl, the journal that Frank kept while in hiding from the Nazis during World War II. The idea of living in a dark attic unable to fully grasp what is going on in your life and feeling powerless to change it seemed like a relevant metaphor for me at the time, Ian Felice says. The band, spent about a month recording Life in the Dark in the late winter of 2015. James Felice learned engineering on the fly  I literally had a book, like, Where do you put the mic? How do you mic the kick drum? he says  and the band managed to nail most of the tunes within a few takes. The resulting album is more than just classic American music  its a parable for modern America. rebirthof Strand of Oaks. Poignant and heart-rending, Forever Chords gradually buildstoward an emotional release rooted in our own universal fears about mortality, personal legacy, and music as asaving force.But its that firstEraserlandline, I dont feel it anymore, that sets a stunning precedent for the most affecting and fully-formed album Strand of Oaks has ever released. Because despite whatever doubts or reservations Showalter had going into the process, he crafted a series of songs so perfectly matched to the musicians supporting it, and so emboldened by his own doubts and insecurities, that the result is glittering, powerful, and impassioned, a moving rock and roll saga that feelssubstantial and deeply satisfying, vulnerable and self-assured. WilderadoAn arresting confluence of soaring melodies, lush harmonies, and driving indie rock, the EP is the bands most collaborative work yet, bearing the distinctive writing influence and unique sonic sensibilities of all four members (lead singer/guitarist Max Rainer, bassist/vocalist Colton Dearing, guitarist/vocalist Tyler Wimpee, and drummer Justin Kila). Recorded with production mastermind Phil Ek (Father John Misty, Fleet Foxes), Favors marks the dawn of a new era for Tulsa rockers Wilderado, as their already-epic sound pushes into more nuanced and mature territory than ever before. From the slow-and-steady build of You Dont Love Me to the explosive power Siren, the collection elevates the grandeur and drama of the bands arrangements without sacrificing any of the grit or muscle behind it. We wanted big guitars, big cymbals, big drums, big vocals, but we still wanted it to come across pretty, explains Rainer. Indeed, beauty is the EPs hallmark: the beauty of radical honesty, the beauty of self-actualization, the beauty of metamorphosis. The songs offer up candid slices of self-reflection, unafraid look critically in the mirror as they juxtapose magnificent musical arrangements with lacerating lyrics and heartrending deliveries, but ultimately, theyre not about judgment at all. Instead, the music celebrates the growth that comes from turning weakness into strength, from pushing beyond the boundaries what previously seemed possible in order to fully become yourself. 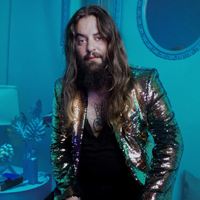 Favors follows a pair of EPsMisty Shrub and Latigoand a collection of singles released to widespread critical acclaim, with Consequence of Sound hailing Wilderados music as glorious and Paste lauding its South-Central Americana-meets-Laurel Canyon vibe. Praise across the pond was similarly effusive, with NME highlighting the bands impressive harmonies and Clash falling for their natural grace. The tunes racked up more than 15 million streams on Spotify and helped the group earn festival performances from Bonnaroo to Sasquatch in addition to dates with Band of Horses, Lindsey Buckingham & Christine McVie, Judah & The Lion, and more. 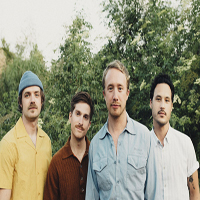 After independently releasing two EPs, Twelve Months Older (2013) and Marrow (2015), the Fellows hit the road with Houndmouth through the southeast and Joseph on a run of sold out dates along the west coast. Eager to release new music, DF went into the studio in early 2017 to record their debut LP Both Sides of the Ceiling, resulting in a multidimensional shift both sonically and personally for the band. The release of Both Sides of the Ceiling in August 2017 revealed a fresh upbeat sound that catapulted them to the forefront of the Austin indie music scene. Rooted in catchy riffs and candid harmonies, their newfound sound has seen airplay on hometown favorite KUTX as well as Spotifys Feel Good Indie Rock playlist with nearly a million followers. Fan favorite and lead single "Fresh Squeezed" packed a punch on streaming platforms garnering over a million plays, showcasing the band's versatility from contemplative to tongue-in-cheek lyricism. Their effortlessly charismatic stage presence and high energy sets led to a U.S. tour with Middle Kids in addition to their massive debut at hometown music festival Austin City Limits 2018. Riding off of the success of Both Sides of the Ceiling, they hit the road with Post Animal + Ron Gallo in February 2019 and plan to continue touring and release new music in the Spring. Little Arthur Duncan and B.B. King. music, whether they know it or not." the musical past while planting the song firmly in the present with searing guitars and pounding drums. nods to artists like Roy Orbison, Buddy Holly, and The Everly Brothers that nonetheless feel current. "There's a novelty in digging up the past that feels like excavation. You end up being a filter for everything you dig." 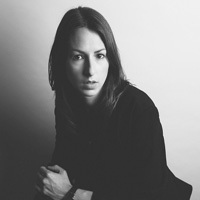 Singer-songwriter/guitarist Brooke Annibale sheds a bit of her indie-acoustic skin on her newest record Hold to The Light--a pop-progressive album that offers a fusion of textured electronic and traditional (guitar, strings, keys) instrumentation with songs bearing Brookes keen, soulful lyricism. 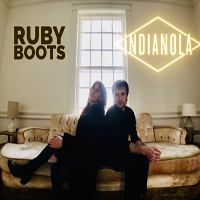 Produced by Sam Kassirer (Josh Ritter, Lake Street Dive) the record features the contributions of seasoned artists Sam Kassirer on Keys; Zachariah Hickman (Ray Lamontagne) on Bass; Josh Kaufman (The National) on accompanying guitars; Sean Trischka (Molly Tuttle, Oh Pep!) on Drums; and Matt Douglas (Sylvan Esso, Mountain Goats) on Woodwinds. Hold to The Light is an exciting evolution in Brookes career as a musician. Her creative roots run deep with family connected to music--her maternal grandfather founded a music store, selling instruments and sound equipment, which continues to operate today in Pittsburgh, PA. Brooke began playing guitar at 14 and since then her passion for making and performing music has taken her all over the country. She released her first full-length record, Silence Worth Breaking in 2011, produced at The Smoakstack in Nashville, followed by 2013s EP Words in Your Eyes and 2015s The Simple Fear. On the road, Brooke has recently been on tour opening for Josh Ritter, Margaret Glaspy, Chadwick Stokes, Great Lake Swimmers, Jesca Hoop, Iron & Wine, Rufus Wainwright, Aoife ODonovan, The Handsome Family and others. Her songs have been featured on Sirius XM radio in addition to being placed in multiple TV shows including Grey's Anatomy, Pretty Little Liars, Hart of Dixie, Vampire Diaries and more. 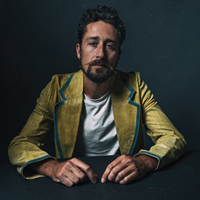 The latest album from The Suitcase Junket, Mean Dog, Trampoline is populated by characters in various states of reverie: leaning on jukeboxes, loitering on dance floors, lying on the bottoms of empty swimming pools in the sun. Despite being deeply attuned to the chaos of the world, singer/songwriter/ multi-instrumentalist Matt Lorenz imbues those moments with joyful wonder, an endless infatuation with lifes most subtle mysteries. And as its songs alight on everything from Joan Jett to moonshine to runaway kites, Mean Dog, Trampoline makes an undeniable case for infinite curiosity as a potent antidote to jadedness and despair. Produced by Steve Berlin (Jackie Greene, Rickie Lee Jones, Leo Kottke) of Los Lobos, Mean Dog, Trampoline marks a deliberate departure from the self-recorded, homespun approach of The Suitcase Junkets previous efforts. In creating the album, Lorenz pulled from a fantastically patchwork sonic palette, shaping his songs with elements of jangly folk, fuzzed-out blues, oddly textured psych-rock. Engineered by Justin Pizzoferrato (Dinosaur Jr., Speedy Ortiz) and mixed by Vance Powell (Jack White, Houndmouth), Mean Dog, Trampoline rightly preserves The Suitcase Junkets unkempt vitality, but ultimately emerges as his most powerfully direct album so far. 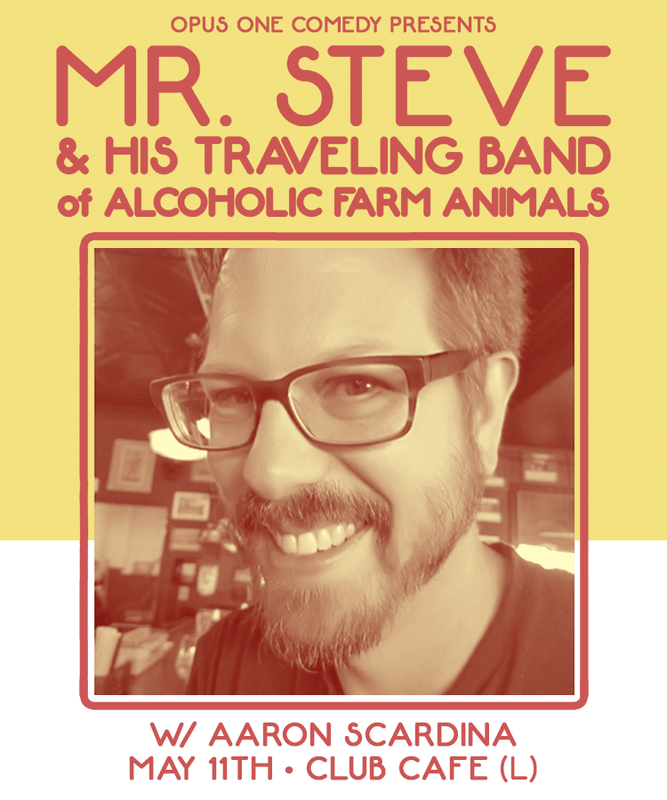 "Ive been blessed in my career as a producer to have worked with some remarkable artists, but I have never worked with anyone quite like Matt Lorenz / The Suitcase Junket. Besides making the complexity of everything he does look effortless, hes a truly gifted singer and and amazing songwriter. We had a blast making this record and Im anxious to share it with the world." 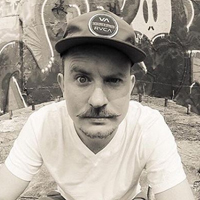 Comedian Steve Swanson brings his eclectic comedy show to Club Cafe.